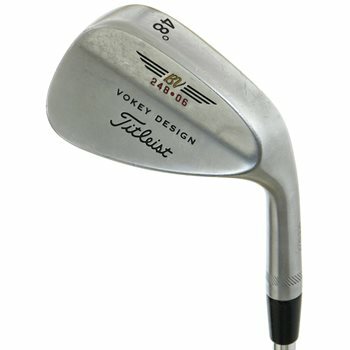 The Titleist Vokey 200 Series features a classic teardrop shape with reduced glare satin appearance. The chrome finish resists nicks and rust and yields a lively feel. They are made from heat-treated 8620 mild carbon steel to ensure precise shape, tight tolerances and process consistency, while providing soft, solid feedback.